This gave an attacker with $15 of hardware the ability to basically take over remote PCs within wireless range, which could be up to 50m away. This makes sitting in a café quite a dangerous thing to do when any affected hardware is inserted, which for the unifying dongle is quite likely as it’s explicitly designed to remain in an empty USB socket. The main manufacturer of these devices is Logitech, but the hardware is also supplied to other OEMs such as Amazon, Microsoft, Lenovo and Dell where they are re-badged or renamed. I don’t think anybody knows the real total, but by my estimations there must be tens of millions of affected-and-unpatched devices being used every day. Shortly after this announcement, Logitech prepared an update which mitigated some of these problems, and then again a few weeks later prepared another update that worked around and fixed the various issues exploited by the malicious firmware. Officially, Linux isn’t a supported OS by Logitech, so to apply the update you had to start Windows, and download and manually deploy a firmware update. For people running Linux exclusively, like a lot of Red Hat’s customers, the only choice was to stop using the Unifying products or try and find a Windows computer that could be borrowed for doing the update. Some devices are plugged in behind racks of computers forgotten, or even hot-glued into place and unremovable. 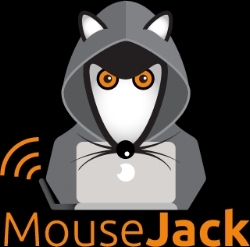 The MouseJack team provided a firmware blob that could be deployed onto the dongle itself, and didn’t need extra hardware for programming. Given the cat was now “out of the bag” on how to flash random firmware to this proprietary hardware I asked Logitech if they would provide some official documentation so I could flash the new secure firmware onto the hardware using fwupd. After a few weeks of back-and-forth communication, Logitech released to me a pile of documentation on how to control the bootloader on the various different types of Unifying receiver, and the other peripherals that were affected by the security issues. They even sent me some of the affected hardware, and gave me access to the engineering team that was dealing with this issue. It took a couple of weeks, but I rewrote the previously-reverse-engineered plugin in fwupd with the new documentation so that it could update the hardware exactly according to the official documentation. This now matches 100% the byte-by-byte packet log compared to the Windows update tool. Magic numbers out, #define’s in. FIXMEs out, detailed comments in. Also, using the documentation means we can report sensible and useful error messages. There were other nuances that were missed in the RE’d plugin (for example, making sure the specified firmware was valid for the hardware revision), and with the blessing of Logitech I merged the branch to master. I then persuaded Logitech to upload the firmware somewhere public, rather than having to extract the firmware out of the .exe files from the Windows update. I then opened up a pull request to add the .metainfo.xml files which allow us to build a .cab package for the Linux Vendor Firmware Service. I created a secure account for Logitech and this allowed them to upload the firmware into a special testing branch. This is where you come in. If you would like to test this, you first need a version of fwupd that is able to talk to the hardware. For this, you need fwupd-0.9.2-2.fc26 or newer. You can get this from Koji for Fedora. Then you need to change the DownloadURI in /etc/fwupd.conf to the testing channel. The URI is in the comment in the config file, so no need to list it here. Then reboot, or restart fwupd. Then you can either just launch GNOME Software and click Install, or you can type on the command line fwupdmgr refresh && fwupdmgr update — soon we’ll be able to update more kinds of Logitech hardware. If this worked, or you had any problems please leave a comment on this blog or send me an email. Thanks should go to Red Hat for letting me work on this for so long, and even more thanks to Logitech to making it possible. Thank you for your diligence in this area. Props to Logitech for being so cooperative as well. Amazing work! Thank you and Logitech for coming together to provide an effective solution for us. The GUI firmware update tool is an excellent addition to gnome and I’m glad to see more devices added. Looks like it didn’t work. I lost connectivity to my mouse until I plugged it back in again. 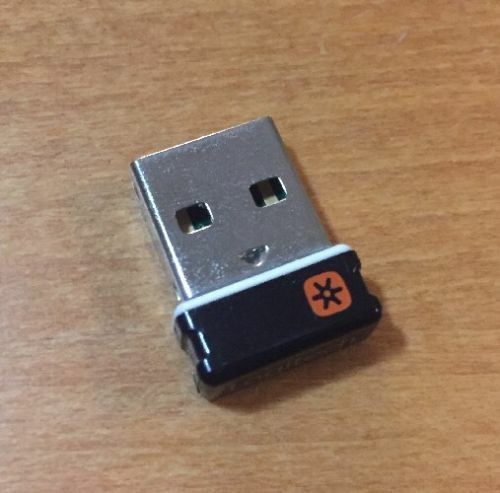 Description: A Unifying receiver allows you to connect multiple compatible keyboards and mice to a laptop or desktop computer with a single USB receiver. Updating the firmware on your Unifying receiver improves performance, adds new features and fixes security issues. UpdateDescription: RQR24.05_B0029:This release addresses an unencrypted keystroke injection issue known as Bastille security issue #11. The vulnerability is complex to replicate and would require a hacker to be physically close to a target.RQR24.03_B0027:This release addresses an unencrypted keystroke injection issue and fake mouse issue known as Bastille security issues #2 and #3. The vulnerabilities are complex to replicate and would require a hacker to be physically close to a target. Shouldn’t the DownloadURI option default to a GNOME.org link under the control of the Foundation? In case the AWS link dies or for some other reason needs to be redirected to another host. Well, it’s handling millions of requests every day currently, so it’s not a trivial thing to handle. It’s also security sensitive as there are embargoed updates on the LVFS. I can share more news on this soon, but at the moment it’s work in process with various legal teams. After a few more tries it finally worked. Also, after the “decompressing, request timed out” failures, the receiver was disabled until I tried running fwupdmgr again or replugging the receiver. Feel free to contact me by email for any followup. Great! But fwupd is not yet in this version on Debian, even in Sid..
Not much I can do about that I’m afraid; you could probably use this new version of fwupd on a Fedora LiveUSB image if that helps. Yep, this specific one is not there, it has been released a day a ago; and Debian is on the freeze. Version 0.9.2 is currently available in Debian experimental only. If you are running Testing/Stretch you should be able to install the package ‘fwupd’ from experimental. Don’t do this, it’s completely untested and the linked to libraries will be different. As I have a Logitech M510 mouse with a Unifying receiver (as a backup mouse), I tried this out. After following your instructions, GNOME-Software doesn’t find any updates and the command line says all hardware is updated. What’s the output of “fwupdmgr get-devices”? Did you reboot / restart fwupd after installing 0.9.2-2? after some reboot no result. Can you try fwupd-0.9.2-2 please — I’ve backported all the fixes done today to there. Thanks! Kudo! That’s a great achievement ! This is really impressive – the only downside I can come up with is that you had to write the “Linux flash code” yourself. Ideally this would be something provided by the manufacturer (similar to open source Linux drivers) by default. But that is really a tiny complaint compared to your great achievement (which I guess is also due to good work by various non-tech people from Red Hat). I hope that Dell will support more models via LVFS. I just got a new Latitude – partly due to their support of LVFS (and their models are generally quite Linux-friendly). Is there any mechanism in LVFS to tell Hardware vendors about the number of users they could make happy by supporting LVFS? My biggest wish for RHEL 8 is actually fwupd support for common (server) hardware. We actually avoid uploading any details about the users system — it would be interesting data, but is far too security sensitive and private to do without confirmation. I think your best bet is to ask your hardware vendor directly; preferably through a sales channel as this is where companies really care! The AMT bug has thrown a lot of vendors towards the LVFS in recent weeks, although I obviously can’t go into details here. Thanks for all your work on LVFS. Being able to do firmware updates for so many devices is really great – and ahead of Windows where a separate proprietary tool is often needed for each device. However I have some questions about enterprise usage. As far as I can see each computer individual connects to the LVFS servers? Is work being done to enable LVFS for enterprise? Is it possible to mirror required updates locally in an automated way? Spacewalk integration? dnf plugin? For enterprise I think the best way to do this at the moment is to use a proxy server. I’m not super-keen on letting people mirror the entire archive as some firmware is in an embargoed state. I’m open for ideas if you have a specific use case in mind. Ohh, forgot to say; Cockpit should have firmware update support soon too. Whoa, this worked really well and was easy to patch. Nice work! Odd! Can you share the /usr/libexec/fwupd/fwupd –verbose log when you do the update in another terminal please. I’m assuming this is -2 as well. Do you need to install unifying-receiver-udev-0.2-7.fc25.noarch as well? Does it matter if you have a device paired that is not available? I had a mouse and keyboard paired, but the keyboard is not there anymore. It installed ltunify, it dragged in the unifying-receiver-udev dependency, I restarted fwupd and then it somehow worked, or seemed to have already worked. Nope, fwupd runs as root and does not need the udev rules. Does it mean the firmware was updated successfully, despite the error? I think so. fwupdmgr get-devices will get the current version. Yes, it has been updated. Any detailed logs to help you discover the problem? One additional information. It’s not obvious due to blog formatting, but the Writing phase was never completed in my case. The stars progress bar was only half or two thirds full (different value for different attempts), when it jumped to Restarting. Hi Richard this worked like a charm on my Logitech Mx master receiver. I am shocked by how easy the process was, it should be the default everywhere. This was completely unreal, thanks for all the work, simply amazing! Can you update appstream-glib (possibly to the version in f26…), reboot and try again? If this fails, can you please file a bug on the fwupd issue tracker on github. Thanks. M705 update worked in 1st attempt. M510 update worked in 3rd attempt. When I connected M510 USB receivers on same laptop where M705 was connected, fwupd did not detected any updated. Connected to a different laptop and ran fwupd, failed at first attempt but success on second attempt. Worked perfectly on my F26 box’s Logitech receiver. Well done, Richard! Try a new appstream-glib perhaps? Is there anymore info that you’re allowed to say here? Maybe how many vendors have shown interest? I have _not_ rebooted. Does this mean that my firmware is already up2date? Has anyone looked at how to update the firmware on Lenovo docking stations, like the OneLink Pro? They have regular firmware upgrades, and those upgrades fix important functionality of the dock. But as far as I can tell, there’s no way to upgrade them without running Windows, and you’d have to have a Windows system with the magic dock connector to do it. I’d *love* to have a Linux solution for this via fwupd. If you have a spare usb drive you can install Windows 10 on it using Windows To Go mode via Rufus and then update without having to find another Windows system with a OneLink port. You can get the Windows 10 iso directly from the Microsoft website. UpdateDescription: RQR12.07_B0029:This release addresses an unencrypted keystroke injection issue known as Bastille security issue #11. The vulnerability is complex to replicate and would require a hacker to be physically close to a target.RQR12.05_B0028:This release addresses an force pairing issue, an unencrypted keystroke injection issue and fake mouse issue known as Bastille security issues #1, #2 and #3. The vulnerabilities are complex to replicate and would require a hacker to be physically close to a target. My M310 Logitech mouse has the Unifying logo underneath, but my receiver does not have the unifying logo anywhere. Richard, thank you for all your work. I hope Ubuntu updates to the latest fwupd soon. It seems this receiver is indeed a nano receiver with the ability to understand the unifying protocol to handle unifying peripherals (my M310). Solaar reports the receiver only supports pairing a single device. Similarly to Garret above, I’m unable to update the firmware on my Unifying Receiver. I’m using fwupd-0.9.2-2.fc26.x86_64.rpm and libdfu-0.9.2-2.fc26.x86_64.rpm on Fedora 26. My fwupd.conf is pointing at the appropriate firmware-testing.xml.gz URL. I rebooted and ran fwupdmgr refresh after installing the above RPMs and editing the config file. My receiver appears in lsusb as Bus 001 Device 005: ID 046d:c52b Logitech, Inc. Unifying Receiver. However, fwupdmgr update reports No devices can be updated: Nothing to do. This worked really well for me too with my MX Master mouse. However, it installed a different version than the one in the example. Is the version “RQR24.05_B0029” fine too? It was the one it automatically found and updated to. Tried both fwupd 0.9.2 and fwupd-git, no luck. appstream-glib is at 0.6.13. Are you sure the new fwupd is running? Try rebooting. I’ve updated two Unfiying receivers so far. I’ve documented and posted my experience to my local Linux User Group mailing list. Our community has a lot of Raspberry Pi folks, and the Logitech K400 keyboard is very popular. This is however on 0.9.2-2.fc25 , so maybe it doesn’t work on Fedora 25 for some odd reason? I lied, the error with “device was disconnected” seems like it just needed to reboot to update. After reboot it is on the updated firmware now. Hi, and thanks for the work you’re doing here. I keep running into a “Timeout was reached” problem. This seems to stop the update process, but I’ve also had it happen with the refresh. I guess it could be a network issue, but I’m not sure how to diagnose further. If I do a wget on the DownloadURI, the file is retrieved without any problems. I’m running fwupd-0.9.2-2.fc25.x86_64 on Fedora 25. Any help, when you’re not busy, would be great. I can confirm, this works on Fedora 25, Arch Linux and Manjaro. Hi Hughsie! I tried this on Debian using the current `fwupd` build from _experimental_. After `service fwupd status && fwupdmgr refresh` I tried `fwupdmgr update`, which unfortunately failed saying “No devices can be updated: Nothing to do”. My receiver identifies through `lsusb` as _046d:c52b Logitech, Inc. Unifying Receiver_. I’m not sure that the dongle is in the right state for starting the update. How to put in boot loader mode? Can you open an issue against fwupd on github please with the full output of fwupdmgr get-devices please. Actually, it looks like you have an old version of fwupd running. Perhaps reboot? The 0.9.2 package has been added to Debian experimental as well now. I am also seeing a problem with the 046d:c52b on Arch. After installing fwupd from git, this date. Restarting fwupd with “killall fwupd”. So now, the output of “fwupdmgr -v get-devices” depends upon the history of device-plugging and fwupd-starting. This seems very very bad. I’ve done zero testing on Arch, sorry. However, `sudo fwupdmgr -v refresh` is always failing with a timeout. what a breeze! This worked flawlessly – thanks a lot for your awesome work! Thank you for the effort to get Logitech to cooperate. Description : fwupd is a daemon to allow session software to update device firmware. Only thing I noticed is label got changed from “Unifying Receiver” to “USB Receiver”. This is on a 4.11.3-202.fc25.x86_64 system (KDE). I’m using the flatpak package — it works great! You need 0.9.3-2 or later — the first build had a bug. You need 0.9.4-2 to avoid a common problem.